Dubucand did several hunting compositions of dogs with horses and riders. This single Greyhound is from one of those models, the Arab Hunter on horseback with two Greyhounds standing beside the horse. 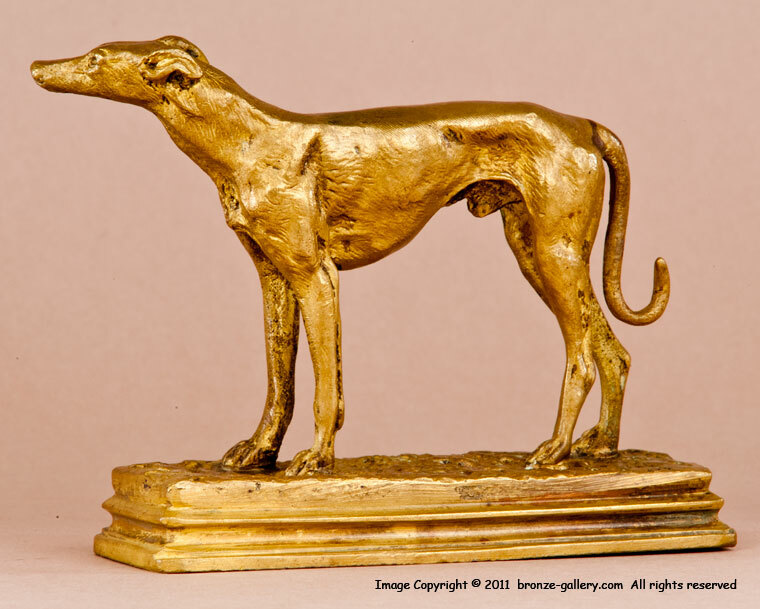 The two Greyhounds were also done as a pair and as single sculptures, they were cast in two sizes. 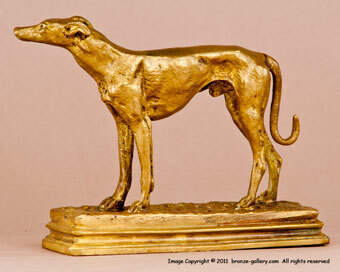 Our Greyhound is the smaller size showing the single hound at rest, he is well detailed and has a gilt patina. 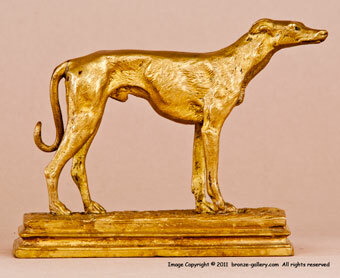 All of the Dubucand Greyhound sculptures are rare and this one is a nice size for a desk or cabinet.